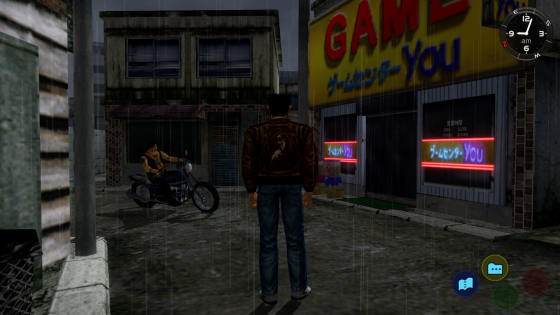 Shenmue’s reveal was accompanied by a not-so-typical assortment of early screenshots, artwork and various assets. Amongst artwork of the vengeful Ryo Hazuki and screenshots of ramshackle Japanese streets was an image that really stood out, simply featuring renders of numerous TV aerials. An odd sight, for certain. 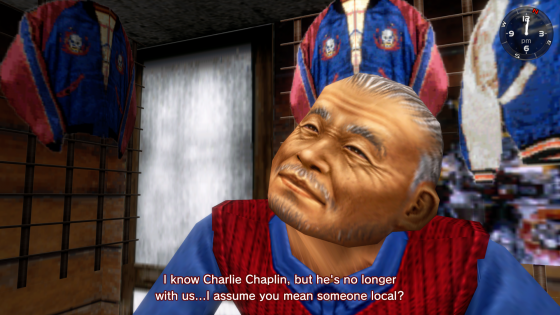 One caption editor duly noted that its purpose was to show that Shenmue’s towns and suburbs weren’t being created in a cookie cutter fashion – every item and object, no matter how small, was unique. Indeed, Shenmue was a huge undertaking. It was SEGA’s most expensive and ambitious project ever – a colossal three-part ’80s set adventure with an intricate, slowly unwinding, story. The list of features made it sound exceedingly fresh and exciting: an innovative day and night cycle with a daily routine, a combat system lifted from Virtua Fighter, a huge cast of unique supporting characters, cinematic cut-scenes, and frivolous distractions galore. Want to spend all day playing Hang-On and Space Harrier instead of locating those responsible for your father’s death? It was entirely possible. Gaming magazines slowly drip-fed new information in the run-up to release, making every other game released in 1999 (Donkey Kong 64, FF VIII, Driver, Dino Crisis, and Silent Hill were some of the year’s the big hitters) sound ordinary. Sadly, the game’s text-heavy nature made importing a no-no – the year that passed between its Japan and European launch was almost unbearable. Shenmue finally arrived in the west during late 2000, and while it did gain critical praise – as well as taking the covers of even the multi-format magazines of the time – it was something of an acquired taste. A game so different from everything else that many gamers didn’t know what to think of it. When it’s good, it’s very good – the visuals, short and snappy QTEs, fight scenes and general presentation were all way ahead of the competition. The pacing, however, was all over the place. After the dramatic opening is out of the way, most time is spent…killing time – playing arcade games, gambling and running up and down the city streets until stumbling across a cut-scene trigger, or waiting for a bar or similar opens to the public. The game’s second half then throws all convention out the window, tasking Ryo with painstaking manual labour at the local dockyard. By this point, fight scenes are so uncommon that all effort put into practising moves feels like it was for nothing. Impatient gamers are likely to be at a loss here – Shenmue isn’t respectful of your valuable gaming time. Waiting for a tattoo parlour to open only to be told to come back tomorrow almost feels like a joke. A joke that’s being made at the player’s expense. 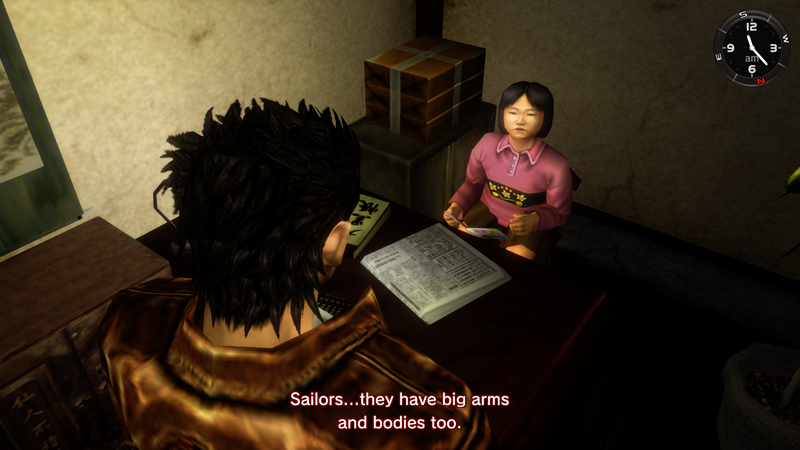 Nevertheless, replaying Shenmue some 20 years later eventually proved to be a worthwhile trip down memory lane; a trip that’s often unintentionally amusing. The sights and sounds are all highly nostalgic, even if the controls and robot-like animations have dated poorly. As for the voice-acting, it’s debatable as to whether it was any good to begin with. It’s painfully apparent many NPCs were voiced by the same actor, simply putting on a slightly different accent. To make things worse, the audio quality is very poor here. To clarify, this isn’t a remaster or remake – it’s a relatively straightforward HD re-release, with just a small amount of additional work put into it. The texture work remains scrappy, the controls clunky, and the interface occasionally cumbersome. The new lighting effects are a welcome addition though, helping to roll back a few years, and the loading times are considerably shorter. 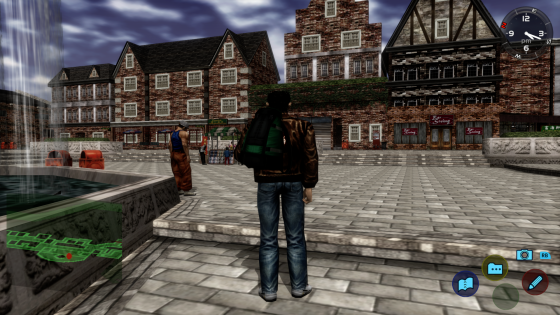 This is hugely beneficial in Shenmue II – the far larger game world is split into small areas, with a loading screen separating each. Shenmue II is, ultimately, the better game. It sees Yu Suzuki’s goals and ambitions closer realised, and it’s an experience more respectful to the player. The focus here is not on passing time, waiting for events to unfold, but earning a living wage while slowly closing in on those behind the death of Ryo’s father. Those guest house bills aren’t going to pay themselves. NPCs still only provide the vaguest of clues as to where to go next, but there’s slightly less aimless wandering. Hong Kong and its seedy underground are far more thrilling than Ryo’s quaint hometown, too. The new characters are each as memorable as the last, and there are more distractions than before. Frustration comes only from the fact that Hong Kong’s city streets are arranged in a labyrinth-like fashion. Having a good sense of direction helps. Well, that and a map. Shenmue and its sequel are both important games. Perhaps not quite as important as Zelda: Ocarina of Time, Super Mario 64, Half-Life and others from the era, but certainly defining moments in SEGA’s history, ergo the Dreamcast. SEGA’s decision to preserve them for a new generation has been a long coming, and it’s something to be thankful for. Just make sure you’re aware this is a ‘warts and all’ experience – while Yu Suzuki’s vision still shines through the cracks and dust, the past 20 years haven’t been exactly kind to what ultimately became the blueprint to the celebrated Yakuza series.